An artifact of alien technological culture has been found dumped on the Martian surface, UFO hunters have announced sensationally. The object could be the final proof of the presence of advanced technological aliens on Mars, according to conspiracy theorists. According to alien hunters, an object spotted in a Curiosity rover photo of Martian terrain that looks like a rock was in fact a chunk of machinery representing advanced alien technology abandoned on Mars. Some anomaly researchers have suggested it could be part of an alien spacecraft engine or an alien space shuttle escape pod. The piece of alien technology may have been lying on the Martian surface for thousands or millions of years after being abandoned on the spot by space-faring visitors to Mars, conspiracy theorists speculated. Otherwise it could be the material remains of an ancient, indigenous Mars civilization believed to have flourished millions of years ago. Mars civilization, according to Mars anomaly hunters, ended in a nuclear holocaust. The latest “discovery” of advanced alien technology on Mars was announced by UFO and alien conspiracy theorist UFO Mania on June 21, 2016. The UFO hunter uploaded to YouTube NASA Curiosity rover images showing the alleged piece of alien machinery abandoned on rocky Martian terrain. 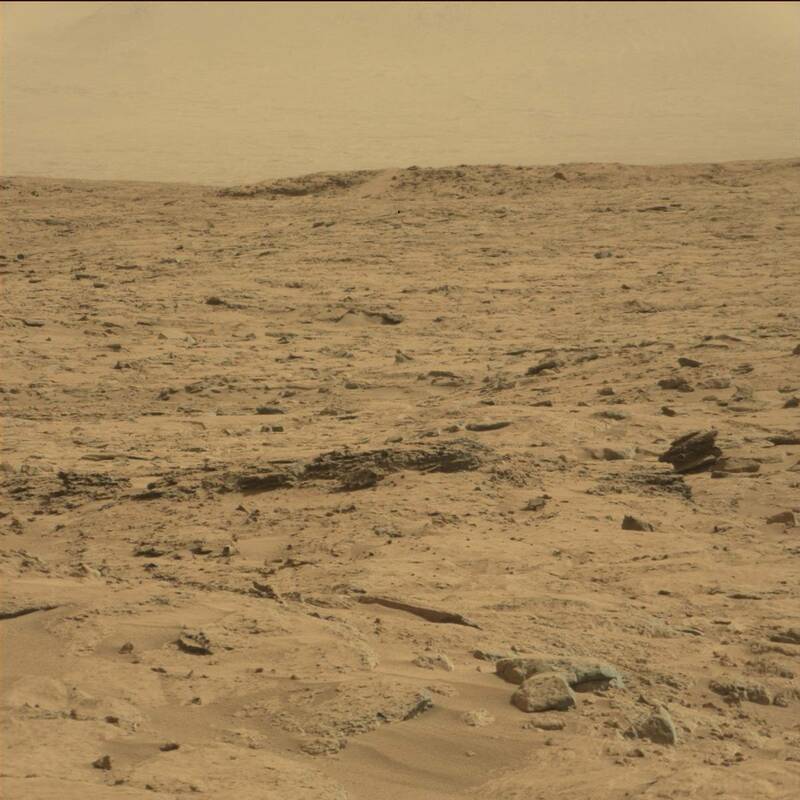 The original image uploaded to NASA’s JPL website may be viewed here. The discovery sparked a debate between enthusiasts and skeptics. Many UFO believers described it as a “groundbreaking” discovery and proof of extraterrestrial intelligence. An enthusiast wondered why NASA chose to ignore the glaring evidence of alien technology on Mars. But skeptics dismissed the suggestion that the object was a piece of alien technology, and argued it was only Martian rock. Alien machinery spotted on Mars, according to UFO hunters [Image via NASA/JPL]“It’s a rock!” a skeptic commented. Some suggested it could have been part of a Mars rover dumped on the Martian surface. “It’s an engine left behind by the Mars rover, [after] the vehicle broke down,” a viewer suggested. “It is the upper pressure bell of a JPL engine, come on guys,” a third opined. But UFO blogger Scott C. Waring came up with a radically different take on the object. In a post to his blog he acknowledged that the “alien artifact” looks, at first sight, like an escape pod or a rocket engine, but he urged UFO hunters to take a closer looks. He argued that the rough and primitive looking design does not support the suggestion that it represents advanced space technology. He claimed it looks like a small alien home, a hut or tiny cottage on Mars. This is not the first time that UFO hunters have found “alien technology” abandoned on the Martian surface. Alien hunters claimed in November 2015 to have discovered part of a UFO drone in an image of the Gale Crater region of the Red Planet. According to the UFO hunter Paranormal Crucible, the object showed clear evidence of “intelligent design,” and appeared to be a metallic chunk of machinery dumped on the Martian surface. Others added that it was likely part of a bigger spacecraft, that is, a component of a spacecraft’s engine or propulsion system. “The anomaly which appears to be the result of intelligent design was photographed by the rover as it surveyed the area around rock nest at Gale Crater,” Paranormal Crucible explained in the video description. In February 2016, fans of the prolific UFO and alien hunter StreetCap1 were thrown into excitement when he announced “discovery” of a “smoking gun” evidence of alien technology on Mars. 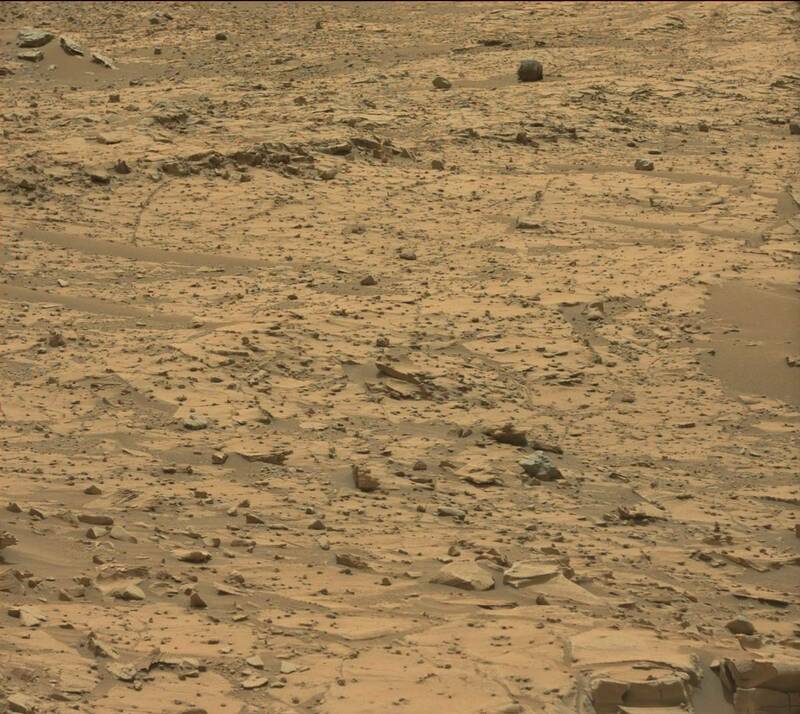 The alien hunter claimed to have spotted a handgun abandoned on Mars at a spot near Mt. Edgecumbe and Wdowiak Ridge on the Red Planet. The original NASA photos uploaded to NASA’s JPL website may be viewer here, here and here. StreetCap1 insisted that the evidence of alien technology on Mars provided by Opportunity rover was indisputable. Pointing to a nearby object that he claimed was the twisted wreckage of a crashed alien craft, he suggested the gun fell to the Martian surface when the alien UFO crashed. UFO hunters had fun debating what type of man-made handgun the alien handgun resembled. Some suggested it looked like a semi-automatic Smith & Wesson.45. Others suggested it looked like a SIG Pro semi-automatic. One alien hunter compared it to a Colt M1911 pistol. But the most popular suggestion was a Desert Eagle.50.